Paul H. Stephenson, III was admitted to the Mississippi Bar in 1977. He is also admitted to practice before all state and federal district courts in Mississippi, as well as the Supreme Court of the United States and the United States Court of Appeals for the Fifth Circuit. 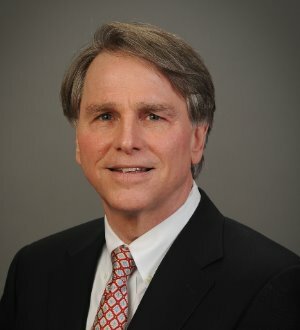 His practice has focused on business, commercial and financial disputes at the trial and appellate levels involving a wide array of subject matters. Paul's experience includes complex class actions, oil and gas controversies, and business practices challenges under the Racketeer Influenced and Corrupt Organizations Act (RICO). His cases of note include The Piney Woods Country Life School v. Shell Oil Co., 539 F. Supp. 957 (S.D. Miss. 1982), aff'd in part, rev'd in part, 726 F.2d 225 (5th Cir. 1984), cert. denied, 471 U.S. 1005 (1985); on remand, No. J74-0307(W) (S.D. Miss. April 24, 1989), aff'd in part,rev'd in part, 905 F.2d 840 (5th Cir. 1990); on remand, 1995 WL 917482 (S.D. Miss. 1995), aff'd in part, 116 F.3d 478 (5th Cir. 1997);on remand, 170 F. Supp. 2d 675 (S.D. Miss. 1999), aff'd, 218 F.3d 744 (5th Cir. 2000); Ayers v. Allain, 674 F. Supp. 1523 (N.D. Miss. 1987),aff'd en banc, 898 F.2d 1014 (5th Cir. 1990), vacated and remanded, 505 U.S. 717 (1992); on remand, 879 F. Supp. 1419 (N.D. Miss. 1995), aff'd in part, rev'd in part, 111 F.3d 1183 (5th Cir. 1997), cert. denied, 522 U.S. 1084 (1998); on remand, 2002 WL 91895 (N.D. Miss. 2002), aff'd, 358 F.3d 356 (5th Cir. 2004), cert. denied,543 U.S. 951 (2004); and Smith v. Tower Loan of Mississippi, Inc., 216 F.R.D.338 (S.D. Miss. 2003), aff'd, 91 Fed. Appx. 952 (5th Cir. 2004),cert. denied., 534 U.S. 1089 (2005).